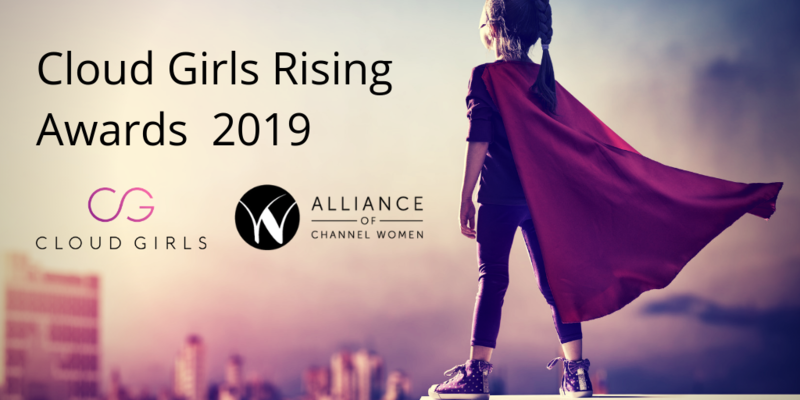 Aliso Viejo, CA, California – March 28, 2019 – Cloud Girls, a not-for-profit female Next-Gen Tech Think Tank, in collaboration with the Alliance of Channel Women, a not-for-profit organization dedicated to accelerating the growth of female channel leaders in technology, announced today that the fourth annual Cloud Girls Rising Awards will be presented April 11 at the Channel Partners Conference & Expo in Las Vegas. The Cloud Girl Rising Awards will be given to women in two different categories – Trailblazer and Rising Star – who have demonstrated innovation, solution-orientation and thought leadership in the cloud space in 2018. These women are moving the cloud conversation forward. They go above and beyond every day to make a significant and lasting impact on their companies, clients and professional communities. 2016 Cloud Girls Trailblazer Janet Schijns, CEO of JS Group, will present the Cloud Girls Rising Awards at 2:55 p.m., Thursday, April 11 at The Channel Partners Studio, which is located in the South Convention Center, Level 1, Bayside AB, Booth 1053 at the Channel Partners Conference & Expo at Mandalay Bay Convention Center.